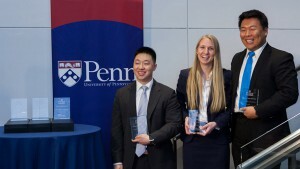 The Y-Prize competition, founded in 2012 by Dr. Vijay Kumar, Dr. Mark Yim and Dr. David Hsu in partnership with the Wharton School’s Mack Institute for Innovation Management, flips the traditional invention competition by asking students to design novel applications for specific technologies. 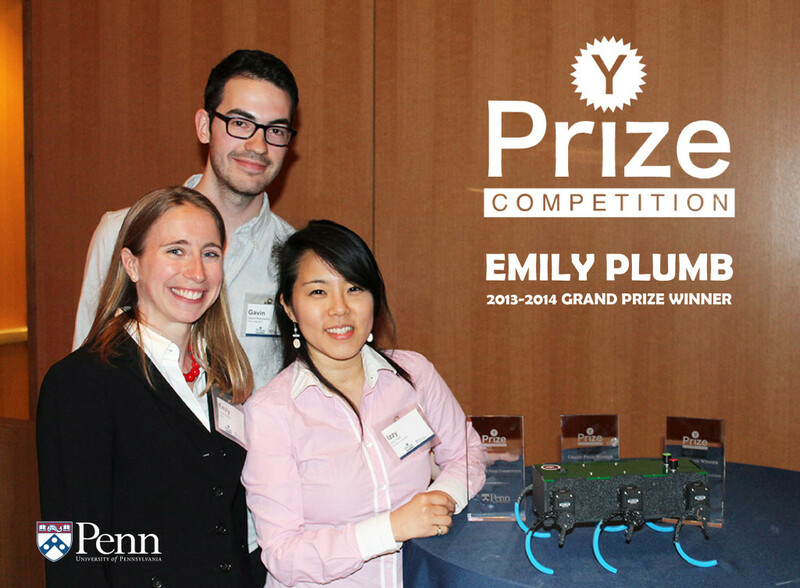 Y-Prize fosters innovation by focusing on the problem space instead of the solution space. Contestants are judged on how innovative their application is for a specific technology and if their application can be turned into a profitable business. The focal technologies are chosen yearly from cutting edge research taking place in labs across the University of Pennsylvania. In 2014, the focus of the competition shifted from robotics to nanotechnology. Contestants were tasked with finding applications for revolutionary nanotechn inventions: graphene, fast-charging batteries and tunable adhesion. The competition, lasting five months in length, included seminars and events to help teams craft a final proposal. The winning team, GFET-FRACK Technologies, proposed a novel way to use graphene to help detect trace amounts of harmful fracking fluid in groundwater. 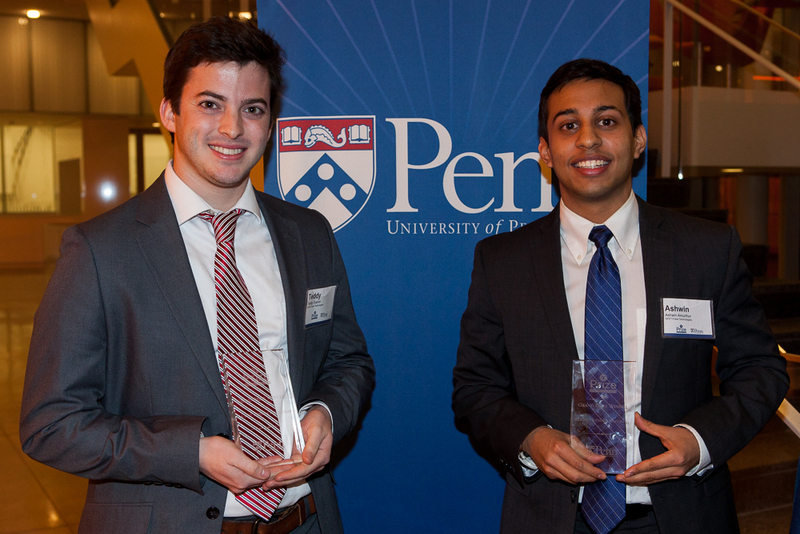 GFET-FRACK was awarded $5000 and licensing rights as the winner of the competition. In 2013, the contest went global by partnering with the crowdsourcing idea platform Marblar. In the first phase of the competition, participants were asked to submit novel application ideas through the Marblar website. 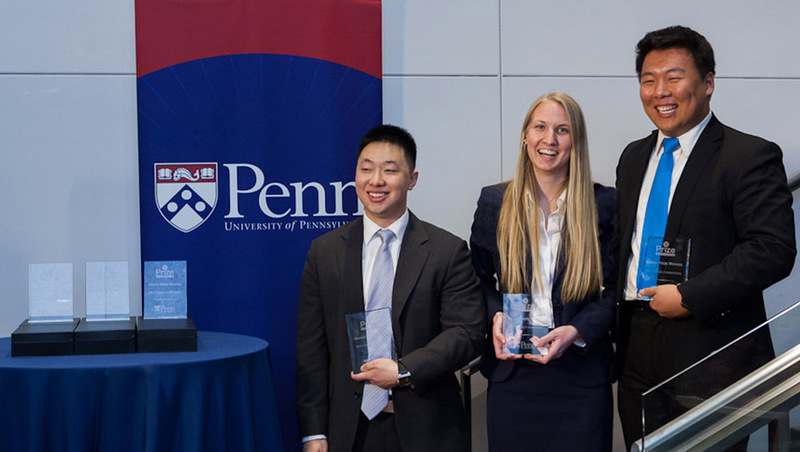 In the second phase of the competition, Penn students formed teams around ideas on Marblar or new ideas and compete for a chance to win $5,000 and the opportunity to pitch their idea to IP Group. The winning team, TRHex, proposed an educational robotics platform, based on technology from Dr. Daniel Koditschek’s Lab, for use in middle and high school classroom. 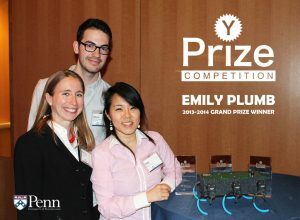 The inaugural Y-Prize competition focused on robotics technology from the GRASP Lab and drew over 300 students, faculty and staff to address innovation in robotics. The technologies chosen for the competition were Dr. Vijay Kumar’s aerial robotics, Dr. Mark Yim’s modular robotics and Dr. Daniel Koditschek’s RHex robotics platform. The students participating in the competition developed an appreciation for the underlying intellectual property and a better understanding of the technology commercialization process. The winning student team, led by a mechanical engineering sophomore, an electrical engineering senior and a MBA student received $5000 and a non-exclusive license to the robotics technology. The team, IDENTIFIED, proposed the use of quadrotors for IED detection. For more information and event updates, please visit the Y-Prize website.